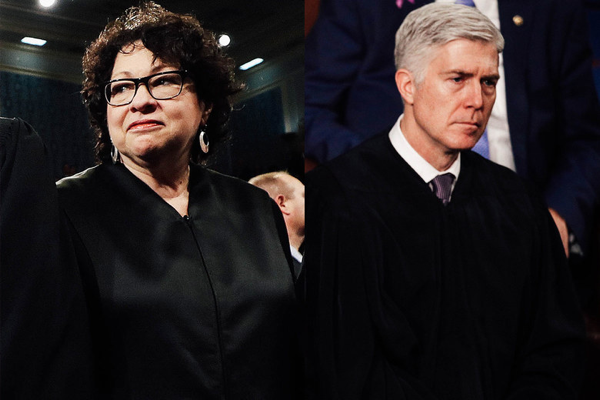 Armwood Editorial And Opinion Blog: Neil Gorsuch and Sonia Sotomayor just came out swinging against policing for profit. "Tyson Timbs just wants his car back. In 2015, Timbs was charged with selling heroin to undercover officers in Indiana to fund his opioid addiction. After he pleaded guilty, a private law firm filed a lawsuit on behalf of the state to confiscate his Land Rover SUV, valued at $42,000. That’s more than four times the maximum $10,000 fine for Timbs’ crimes. But because he briefly carried drugs in the vehicle, the firm claimed that it could seize and sell it, turning over some of the profit to Indiana and pocketing the rest. Welcome to the topsy-turvy world of civil asset forfeiture, also known as legalized theft. Every year, the federal and state governments obtain billions of dollars thanks to the work of prosecutors who expropriate property with some tenuous connection to a crime. Most states use the money to fund law enforcement, called policing for profit. Indiana also lets private attorneys file forfeiture claims against defendants, earning contingency fees and a share of the profit. That’s what happened to Timbs—so he sued, insisting that extreme forfeiture violates the Constitution. On Wednesday, the Supreme Court signaled that it agreed, with an unusual coalition of justices assailing the practice. A decision for Timbs could curb law enforcement abuses across the country, limiting one of the most scandalous components of our criminal justice system."